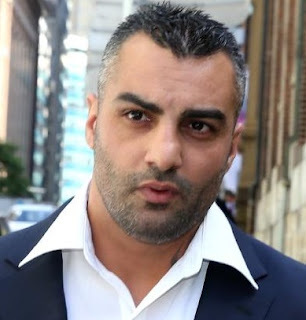 A clash between a police officer and mourners heading to the funeral of bikie boss Mahmoud “Mick” Hawi has been caught on camera. 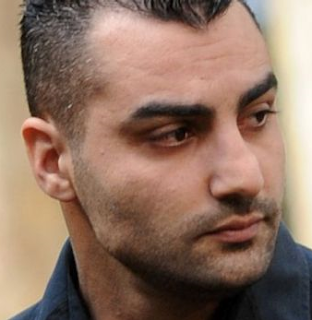 The NSW Police officer draws a Taser as he gets into a verbal mash with one of Hawi’s friends. 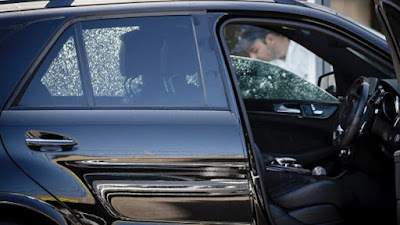 Constable Murphy is a member of Strike Force Raptor, an elite police unit made up of 55 heavily armed police officers tasked with dismantling the violent bikie gang. 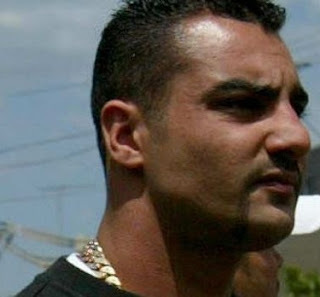 Mahmoud “Mick” Hawi was 22 and just four years after joining the Comancheros MC as a teenager, he took over running the fierce mob. He was the national president and he demanded respect. It was six years into his reign when he became a household name after his Comancheros took on a group of Hells Angels in a now infamous Sydney Airport brawl. 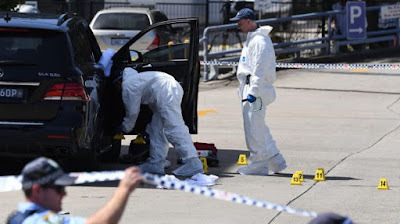 The brawl, where Hells Angel Anthony Zervas was killed, followed an ongoing feud between the two gangs which included the firebombing of the Hells Angels clubhouse in Petersham and several other businesses linked to the gang. Mick Hawi, pictured in 2009. Mahmoud “Mick” Hawi was shot dead after being ambushed by gunmen who pumped numerous rounds into his Mercedes four-wheel drive. Detectives will now need to investigate a long list of suspects who may have wanted Hawi dead. It is said he had an open contract on his head. CCTV footage showed two men dressed in black running in a nearby street from the scene of a burning car.